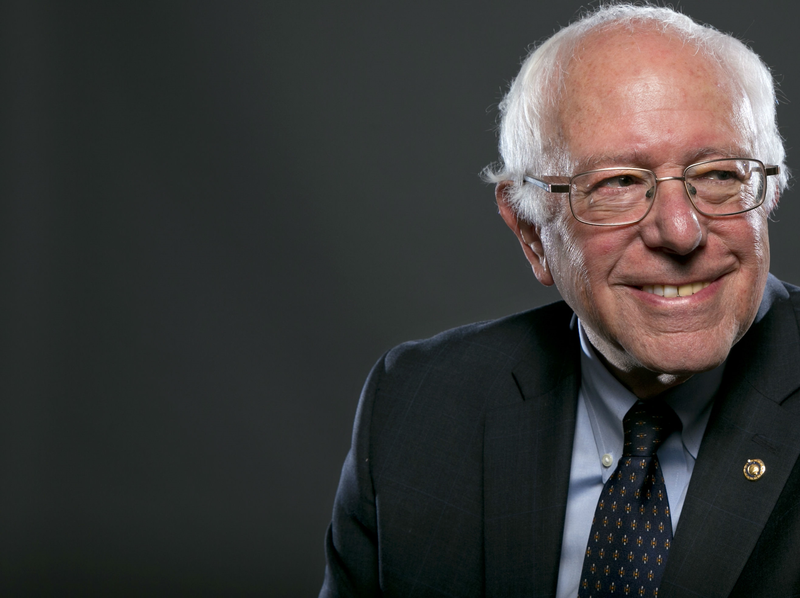 Bernie Sanders takes his cue from Carper and Carney. Sanders urged fellow Democrats against simply obstructing the incoming administration — demonstrating the difficulty progressives are having in deciding how to handle the incoming president. Speaking at a town hall in Washington sponsored by CNN and moderated by Chris Cuomo, Sanders blasted Republicans for acting “shamefully and outrageously” by refusing to consider President Barack Obama’s nomination of Merrick Garland to the Supreme Court last year. He suggested Democrats may not “do the right thing” and instead adopt the GOP’s tactics. Emphasis mine. If that is all Bernie is going to bring to fight Trump, then he ought to retire with his new ideological bedmate Tom Carper in 2018. The new Bipartisan Bernie doesn’t play well. I want someone who is going to fight Trump and the Republicans with every fiber of their being. New Minority Leader Chuck Schumer made similar noises several weeks ago right after the election and Progressives rightly criticized him for it. Now Bernie is sounding like a Third Way DLC Clintonian, and I hope he gets the same exact criticism. At least I am doing my part. I think what jumps out to you is that he sounds like a Dem. That normally isn’t his style. Which normally I would applaud. I have always said that if Bernie wants to reform the Democratic Party he should first join the party and encourage all his supporters to do the same. And I also recognize the balancing act Democrats have to perform with the media and the Republicans not to be automatically label as obstructionists (because there are different rules for Republicans and Democrats). Still, I didn’t expect it from Bernie. And if we are going to criticize Tom Carper and John Carney and Barack Obama for the same language and style, we should criticize Bernie too. Bernie’s never been about the status quo and like many of us he realizes that simply folding our arms across our chests and shouting “NO!” at the Republicans doesn’t help Democrats win back the White House or Congress. GOP obstruction helps the GOP. Dem obstruction also helps the GOP. We know the Republicans will get things done in the next 2 years (at least). It now becomes a point of, do you want to sit there and look petulant playing the role of Obstructor and accomplish nothing, or do you want to at least allow for the possibility that you might extract something of value out of the next few years because of who’s in the Oval Office.Trump listens to the last person he talks to every day. He’s fickle, and not too bright. I think Bernie’s allowing for the possibility for Dems to outsmart the GOP. On what, I don’t know. Or as pandora suggests, it could be all noise. It isn’t so bad to say that you’ll work with Trump where it makes sense — the problem comes in what Democrats will twist themselves into to justify “what makes sense”. Some Democrats will never be on the right track — Joe Manchin says he will vote for Sessions — but it makes no sense for Democrats from thoroughly Blue states to give up much really.